In Sound Argument Panderbear noted that an argument is sound if the premises are true and the conclusion necessarily follows from them. Checking for soundness is essential to immunizing oneself against pandering. The more insidious mode of pandering is to employ some combination of logical fallacies which render a conclusion specious even if the premises happen to be true. What follows is the first installment of a dictionary of logical fallacies. You will recognize many of them, especially if you have been following the Republican primary debates. Ad Hominem Attack - Attacking the messenger rather than their claim. Appeal to Authority - Appealing to the opinion of someone who is not a legitimate authority. Appeal to Belief - Many people believing something is not evidence that it is true. Appeal to Common Practice - Most people doing something does not make it correct, moral, justified, or reasonable. Appeal to Emotion - Appealing to strong emotion rather than producing evidence for a claim. Appeal to Ignorance - Absence of evidence is not evidence of absence. Appeal to Ridicule - Mocking a claim does not prove it is false. Biased Sample - Drawing a conclusion based on a sample that is biased or prejudiced. 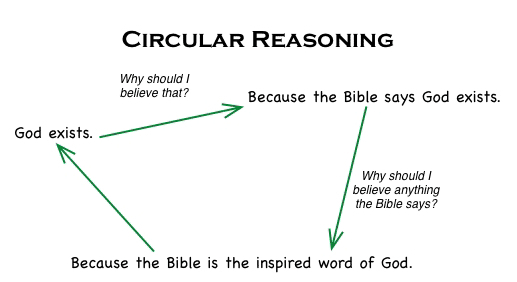 Circular Reasoning - Premises include the conclusion. Composition - That individuals have a characteristic is not proof that the whole class does. Division - What is true of a whole is not necessarily true of its constituents. Hello, this weekend is good for me, since this time i am reading this top 20 schools in north delhienormous informative article here at my home.